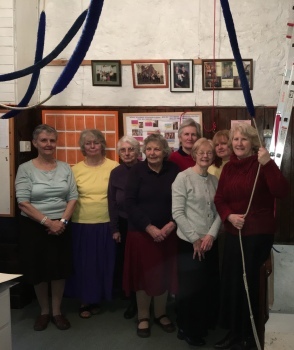 Rung by a resident band of Allendale, Hexham and Ovingham Ladies (all wearing skirts) to celebrate the 100th anniversary of the Representation of the People Act (6th February 1918)when some women were first given the right to vote. Last updated Wednesday, 7 February 2018 at 11:26:17. First submitted Friday, 2 February 2018 at 18:28:18 by Shirley Brown. Sent for publication in The Ringing World on Friday, 2 February 2018 at 18:42:24, and printed in issue 5575.